Does a startup business always need to hire a PR agency? There’s no shortage of advice on the question, and much of it is contradictory. Mark Cuban famously advised young companies not to bring on an external PR firm, reasoning that an entrepreneur is the best person to handle media contact. I’m a Cuban fan but disagree on this score. First, all startups aren’t alike, and individual needs and goals should dictate the decision. More importantly, his advice reduces everything a PR agency or inside team does for an early-stage business to “wrangling the media,” as Cuban puts it. But there’s a whole lot more that goes into the typical startup-agency relationship, like research, strategy, and message development. Then there’s the fact that most entrepreneurs aren’t Mark Cuban and the environment of 2017 is very different from the one where he came of age. My opinion about startups and PR agencies is more along the lines of entrepreneur-turned-VC Mark Suster, who calls PR “insanely valuable” for startups and outlines the ways in which it supports vital business functions, from fundraising and recruiting to business development and customer acquisition. But whatever your point of view on outside agencies, handling PR and media relations for an early-stage business is a blend of art and science. Experience counts, as do other variables like the economic environment, the competitive set (or lack of it) and the founder(s). 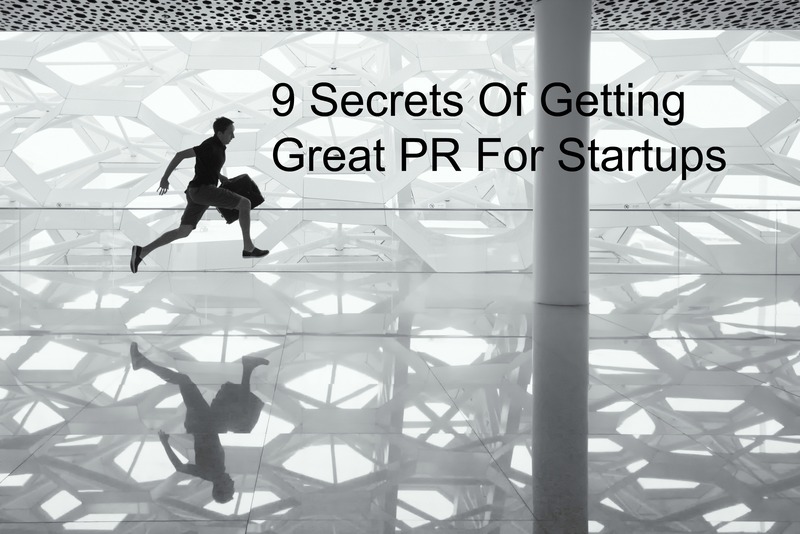 Here’s what we’ve learned about PR for startups. Prepare before you pitch. I’ve seen many startups rush into a media announcement the moment they close a round of fundraising or participate in a major trade show or accelerator. Those things can be important news hooks, but it’s always best to lay the groundwork by introducing yourself and your company to relevant journalists. If you’ve developed relationships or even a few months of give-and-take with the key figures in your sector, it will often pay off in greater coverage for news. So instead of rushing the funding, consider spending an extra two or three months meeting journalists for background interviews. Or place a product roadmap story or new of a partnership update with a key blogger. Then come out with your fundraise, which will let media “connect the dots” and gain a fuller impression of the business. Think like a journalist. Good reporters and bloggers work in a competitive landscape, ruled by time constraints and under pressure to deliver clicks. But they’re not stenographers and are trained to be skeptical. They want a story tailored for their needs or unique to their particular publication; in fact, they often want an exclusive. That takes planning, lead time, and negotiation on the part of an experienced PR or media relations expert. And it’s tired advice, but it requires the PR rep to study individual media outlets and their target reporters’ beats, stories, profiles, social media streams, and quirks. It’s like a presentation opportunity with a hot prospect; you never want to walk into it cold, and you usually only have one shot. Build relationships. Yes, there’s a reason it’s called public relations. Sometimes you get lucky and you land a story with a reporter you haven’t worked with before because it’s timely, relevant, or perfect for that particular media outlet. But much of the art of media relations and PR involves taking the time necessary to build connections. Remember, your story is unlikely to be a journalist’s priority. So it helps to get to know them not only by reading their stuff and following their social feeds, but by reaching out with useful information even when it’s not your story. Think in terms of building a relationship, not making a sale. Tell, don’t sell. This is part of the relationship point, but it’s worth noting on its own. Even if your disruptive new SaaS platform is the coolest technology to hit the industry, don’t just focus on features and benefits, and don’t get lost in jargon or technical terms. Focus instead on telling a story that anyone could understand at a cocktail party. What irksome problem does it solve? How did you hit upon the idea? What breakthrough or industry change made it possible? We work with a supply chain software client that services the heavy equipment aftermarket. At first blush that may seem dry or confusing, but if you calculate the business lost by a grounded airplane for lack of a part, or the customer frustration when a refrigerator can’t be repaired for weeks, it drives home the benefit in a way that no sales deck really can. Think outside your industry. We don’t always have news, of course. And to make it more complicated, tech entrepreneurs can be insular; at times they think their own developments or mission are more relevant than the media do. When hard news isn’t happening in your own business, however, it helps to think outside your world. It’s no accident that we’re all reading about what “fake news” means in a given industry, or the business lessons of Tom Brady, or whether CEOs should weigh in on hot-button political issues. What’s happening in the world around us will always be relevant to media. Work to develop a point of view about the workforce, relevant government policies, business culture, leadership, or another broad topic and weigh in with your own content or comments. Embrace competition. Some startups like to say they have no competition, reasoning that their offering is unique, or wanting to minimize attention for any competitors. But in fact, a few competitors usually means journalists will be far more interested in covering your product or service. One company is an isolated example; more than one means there’s a trend, and a potentially bigger story. Prioritize. Most startups are pressed for resources, so it makes sense to prioritize by communicating your top goals and messages at the outset. Above all, be consistent. Even if you can only spend two days per month on PR and media relations, it’s important to keep at it. Most earned media stories (what we call the editorial features and interviews that result from our efforts) take time to germinate, and an off-and-on strategy is a sure momentum-killer. Blog. If you can only do one thing, consider a founder’s blog. Yes, it takes time and energy, but for many entrepreneurs, it gives voice to the very trends and observations they’re articulating one-on-one to partners, investors and employees. In other words, a successful blog can grow out of a business owner’s natural thoughts and opinions. If regular entries on a company website is a heavy lift, consider a platform like LinkedIn or Medium, where there’s not as much pressure to post fresh content every week. What’s important is that it gets your brand out there with searchable content and helps you shape a point of view on relevant topics. Participate. If you’re not prepared to participate in your company’s PR program (or have a key executive dedicate time to it), then you should probably rethink the whole investment. Even the most capable external PR team aren’t wizards who can operate independently. It takes time, input, and active participation from the client to make the magic happen.